Meet Akhilandeswari, Akhila for short: forty-five and single, an income-tax clerk, and a woman who has never been allowed to live her own life – always the daughter, the sister, the aunt, the provider. Until the day she gets herself a one-way ticket to the seaside town of Kanyakumari. 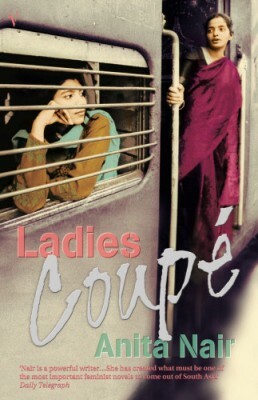 In the intimate atmosphere of the all-women sleeping car – the ‘Ladies Coupe’ – Akhila asks the five women she is travelling with the question that has been haunting her all her adult life: can a woman stay single and be happy, or does she need a man to feel complete? This wonderfully atmospheric, deliciously warm novel takes the reader into the heart of women’s lives in contemporary India, revealing how the dilemmas that women face in their relationships with husbands, mothers, friends, employers and children are the same the world over.